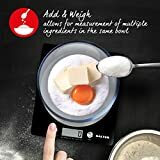 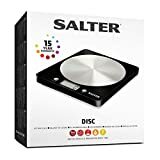 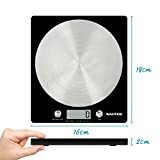 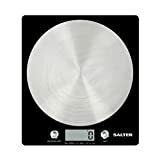 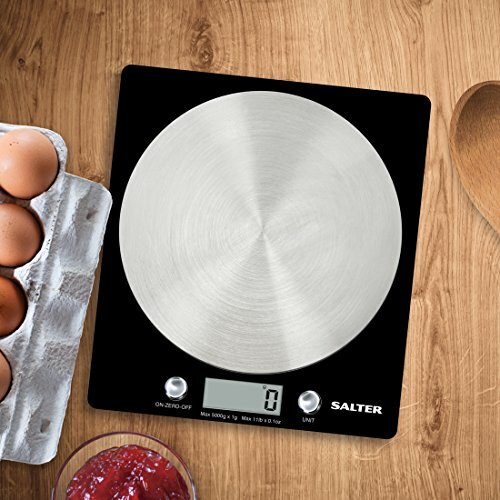 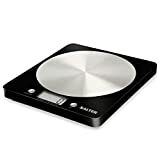 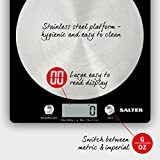 The Salter Black & Chrome Slimline Kitchen Scale has an easy to read display with 20 mm high digits and metric / imperial conversion. The easy to clean slimline platform is stainless steel and small enough to store away neatly. 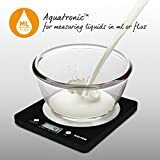 Features include aquatronic liquid measure function and add & weigh feature. This scale measures 160 x 180 x 2 mm. powered by lithium CR2032 battery which is included. Salter are so sure that this scale will not develop a fault they have give it a 15 year manufactures guarantee.